“We Come as Friends” is an important and often times fascinating look at the – mostly devastating – effects of colonization. In a way, it offers a window into the past, since Hubert Sauper compares the colonization of Sudan with earlier similar endeavors. The result is quite enlightening, often disturbing, and occasionally devastating. It shows that even with the best intentions, colonization will likely have a negative effect on the native inhabitants – and that, unfortunately, the colonialists rarely have their best interest in mind in the first place. There were a couple of scenes – some haunting, some funny – that stuck with me. Like the chinese workers watching “Star Trek”, and discussing the underlying message of colonizing the universe (To boldly conquer where no one has gone before? ), the President of South Sudan who doesn’t know the text of their new anthem, the missionaries that set their minds on forcing their own way of life – and religion – on the “primitive”, heathen natives, or the chief who in good faith signed a contract without even knowing what it entailed. Unfortunately, sooner or later, the documentary starts to run out of steam. There comes a point where you get the impression that Hubert Sauper has now said everything that he had to say – but still it goes on and on and on. Thus, it gets a little exhausting, and loses some of its punch. Less would have been more. Apart from that, “We Come as Friends” is an interesting and at times harrowing documentary that takes a look at the present in order to illustrate the past – in the vague and fleeting hope that we’ll learn to avoid similar mistakes in the future. 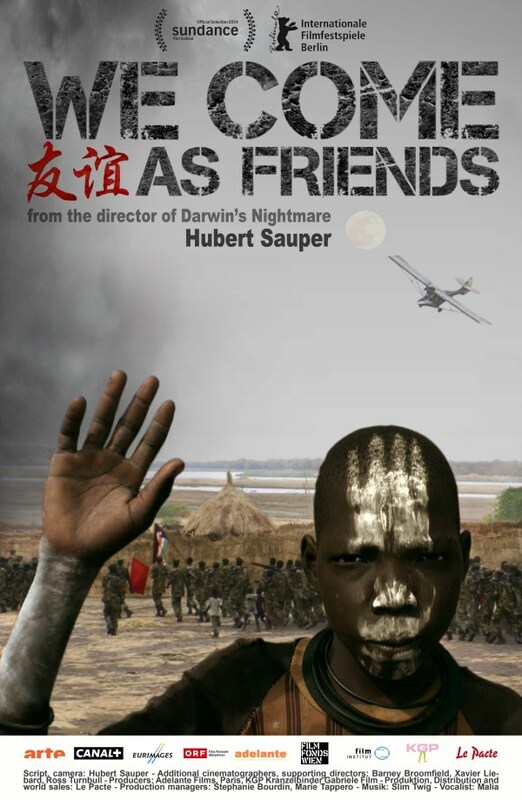 This entry was posted in cinema 2014, movie reviews, Viennale and tagged austria, documentary, Hubert Sauper, Viennale 2014, We Come as Friends. Bookmark the permalink.